What do Apple, Birkenstock, Beats and Hervé Léger all have in common? They have all succumbed to the appeal of a material that jewelers have long celebrated – rose gold. Now a major colour trend across homeware, technology and accessories, rose gold adorns products that are as diverse as Wet N Wild lip gloss and the iPhone. Recognising its popularity, in 2016 the Pantone Institute chose a blend of warm Rose Quartz with a more tranquil Serenity blue as its Colour of the Year, influencing product design and direction. Rose gold is a composite gold alloy of 75% yellow gold, 22.25% copper and 2.75% silver. 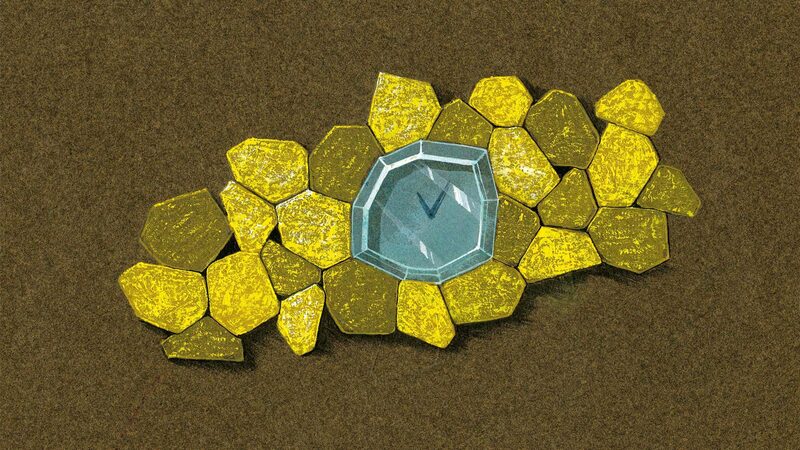 It finds its purest form as Crown Gold, a 22 carat mix of 91.667% yellow gold and 8.333% copper. This alloy has been used to mint British Sovereign coins since Henry VIII introduced it in 1526. Variations such as pink and red gold arise from modifications to the amount of copper and silver that are added to the mix, either amplifying or lightening the dusky rose tones. The history of rose gold also finds an echo in its last golden age: in Imperial Russia at the beginning of the twentieth century. Royal jeweler, Carl Fabergé, popularized the metal as a royal favourite, creating some of his most ornamental pieces in delicate blush tones. Most famously, the “Moscow Kremlin” egg was commissioned by Emperor Nicholas II as a gift for his wife. The gold and white enamel egg was housed within a miniature replica of Red Square’s fifteenth century Spasskaya Tower and, at 11,800 rubles, was one of Fabergé’s highest value commissions. 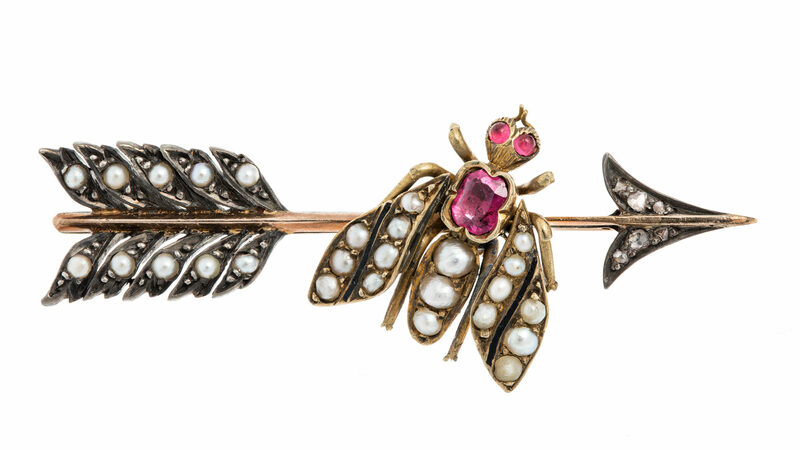 Symbolism is undergoing a significant and seemingly unstoppable popular revival, particularly in jewellery. The emotional impact of its colour, with all its myriad interpretations and meaning, is widely studied by designers and marketeers alike. One of the reasons for rose's popularity today is that, for consumer goods companies, this warmth has huge potential in attracting new customers. In growth markets such as China, the luxury connotations of gold and the “sense of mindfulness” that Eiseman identifies with its rose-hued cousin has significant appeal. In jewellery, Dior, Piaget and Van Cleef & Arpels have led the trend towards rose gold’s revival as a high jewellery material. 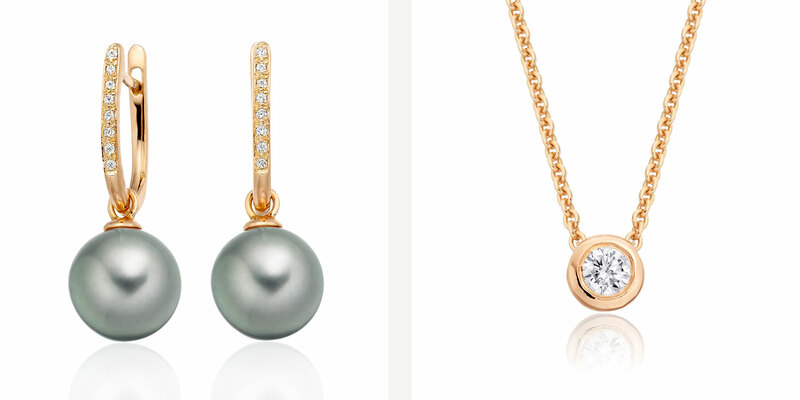 Rose gold is a natural canvas for coloured stones, and brings delicacy as well as warmth to the traditional combination of white pearls with diamonds. 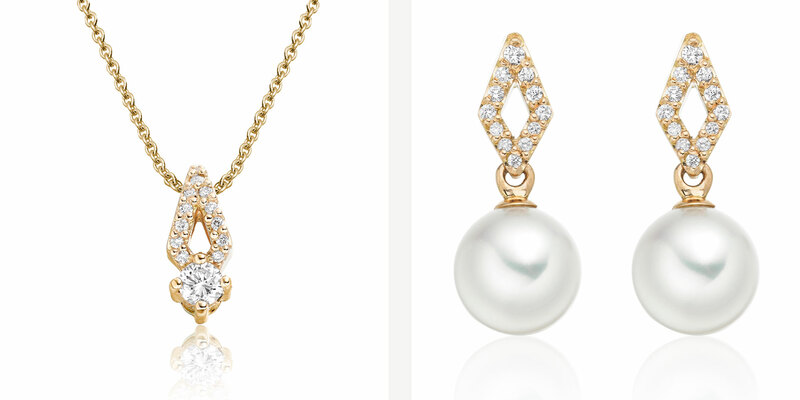 At Winterson, our Classics collection includes some of our most popular jewellery designs, that have been finished with 18 carat rose gold, white diamonds and pearls. There are many ways to wear this beautiful style of gold. 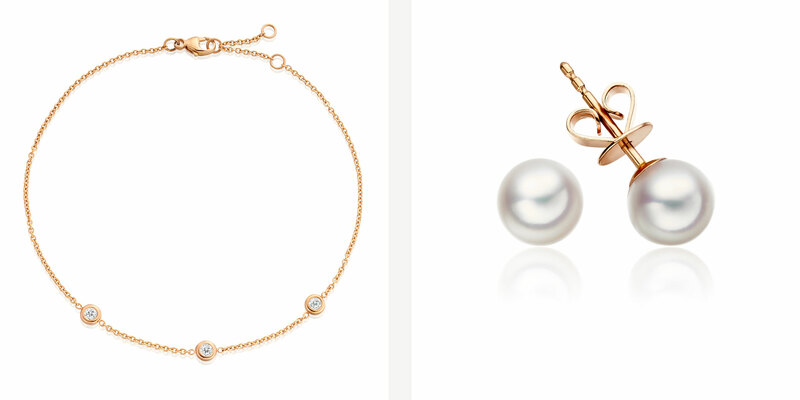 We love the femininity of the rose gold and white diamonds of our new triple diamond bracelets and the elegant addition of light grey Tahitian pearls to our rose gold and diamond leverback earrings. The lovely combination of rose gold with the blush overtones of a white saltwater pearl in our Classic Akoya pearl studs might be the simplest and also the best. Already a fan? 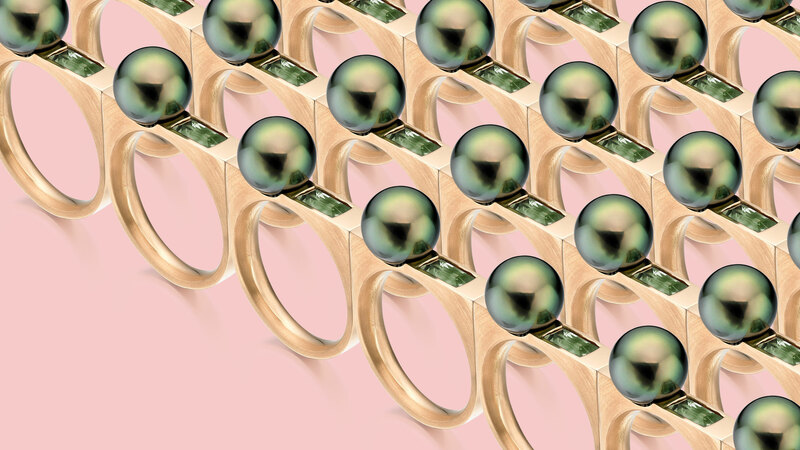 Wholeheartedly embrace the trend with our striking Luna Moss ring in rose gold, green sapphire and a stunning peacock green Tahitian pearl.